Students in the program will explore immersive applications and build experiential models for a variety of rapidly evolving sectors of industry. 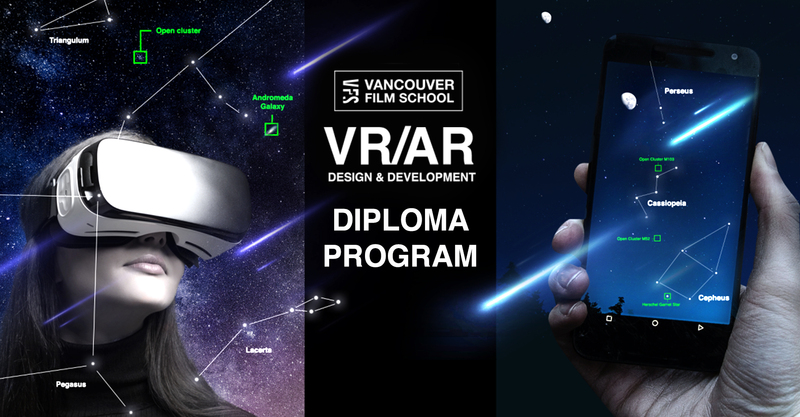 (Vancouver, BC) November 27, 2018 - Vancouver Film School (VFS) announced today another innovative new program, making it one of the only diploma programs of its kind anywhere in the world. The new VR/AR Development and Design Program will be bring a new immersive technologies curriculum in virtual (VR) and augmented (AR) reality to prospective students this coming spring. This exciting new program will allow students to explore and create VR/AR applications in a variety of rapidly evolving sectors including health care, engineering, tech, education, real estate, and entertainment. In early 2019 VFS’ new 8 month program will be one of only a handful of its kind and the institution aims for it to be ranked #1 in the space. Consisting of 10 courses and 2 electives, it is designed for people who want to apply their technical and artistic skills to solve real world problems in various industries beyond games and entertainment, as well as people who are already working in industries disrupted by innovative technologies and want to get ahead of the curve. In term 1, students will have the opportunity to work on client-led VR/AR initiatives with private and public sector companies and organizations across a broad spectrum of industries. The program will afford students the opportunity to use the Unreal and Unity Game Engines to create a VR/AR experience from the design and research phase, to asset creation, to programming and production. By the end of the program, students will have the tools needed to create immersive experiences for the industry of their choice. In 1987, VFS revolutionized entertainment arts education with the introduction of the world’s first one-year intensive film production diploma program. Today, VFS is Canada’s premier post-secondary entertainment arts institution, offering acclaimed and award-winning one-year diploma programs in 3D animation, film, TV, programming, video game, motion and interactive design. For the past 30 years, VFS has been devoted to delivering the highest quality education, and developing the next generation of leaders in the entertainment and creative media industries.